Who got eliminated on The Voice tonight? The results are in and eliminated five singers from the Top 9 will be revealed Tuesday night, December 8, 2015. Tonight, five will be sent home and only four will move on to The Voice Finale — it’s all up to your votes and iTunes downloads! 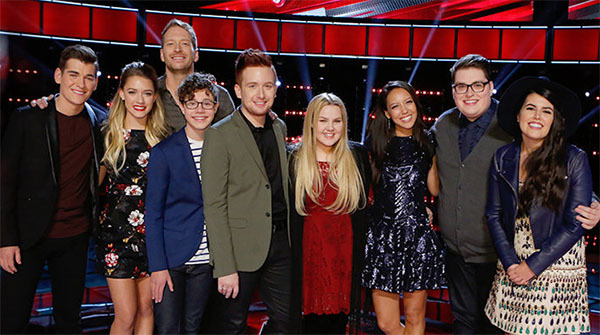 Facing the elimination tonight are Amy Vachal, Jordan Smith, Shelby Brown, Madi Davis, Braiden Sunshine, Jeffery Austin, Emily Ann Roberts, Zach Seabaugh and Barrett Baber. Also tonight, Dolly Parton and American country music singer and songwriter Cassadee Pope will perform on The Voice stage. Who do you think will move on and who will go home? Write your predictions below. Keep locked on this page, results will be posted below once announced. What do you think of the results? Have something to say? Sound off on the discussion box below!